December 17-18, 1942 News articles about the Allies announcement that they would hold German leaders responsible for policies of extermination. December 17-31, 1942 Editorials, op-eds, letters to the editor, and cartoons reacting to the Allies announcement that they would hold German leaders responsible for policies of extermination. Breitman, Richard, and Alan Kraut. American Refugee Policy and European Jewry, 1933-1945. Bloomington: Indiana University Press, 1987. Breitman, Richard. Official Secrets: What the Nazis Planned, What the British and Americans Knew. New York: Hill and Wang, 1998. Feingold, Henry L. Bearing Witness: How America and Its Jews Responded to the Holocaust. Syracuse, NY: Syracuse University Press, 1995. Lipstadt, Deborah E. Beyond Belief: The American Press and the Coming of the Holocaust, 1933-1945. New York: Free Press, 1986. 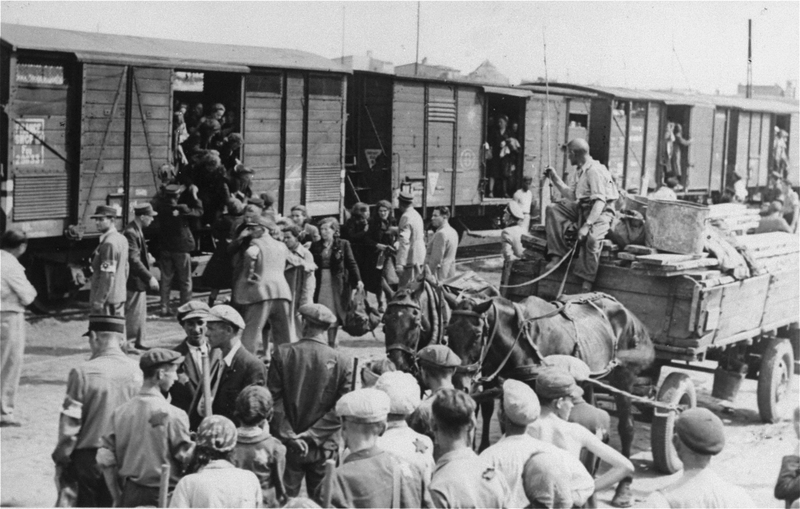 Nazis' Treatment of Jews Assailed by U.S.